Ten years back there are a few things nobody would have believed: that the guy who dabbled in electric cars would be on track to land on Mars; that Hollywood producers would ever be held accountable for anything and that Breitling would be where they are today. Not all that long ago, Breitling were riding high – literally in the case of their aviation watches – and were often said in the same breath as Omega, TAG Heuer and the like. The Navitimer was on the wishlist of collectors around the world and they had the money to indulge in some interesting (if perhaps ill-advised) alternative projects. The Emergency was pretty out-there, with its global distress signal, as was their smart pilots’ watch, designed to log taxi, take-off and landing times amongst other things. Then there was Breitlight, their super-hard-wearing, ultra-light composite (read military-grade plastic) that formed the case of the hugely oversized Hurricane. It was all a bit mental, but in the best possible way. Then came 2017, where Breitling’s big news of the year wasn’t a new collection or material or technical accomplishment, but that it was collaborating with Tudor. There’s nothing wrong with collaboration of course, even if it’s all but ignored in the watch world. This though had a tinge of desperation. With Tudor riding incredibly high it felt like a fading starlet giving a guest spot to an award-winning up-and-comer. 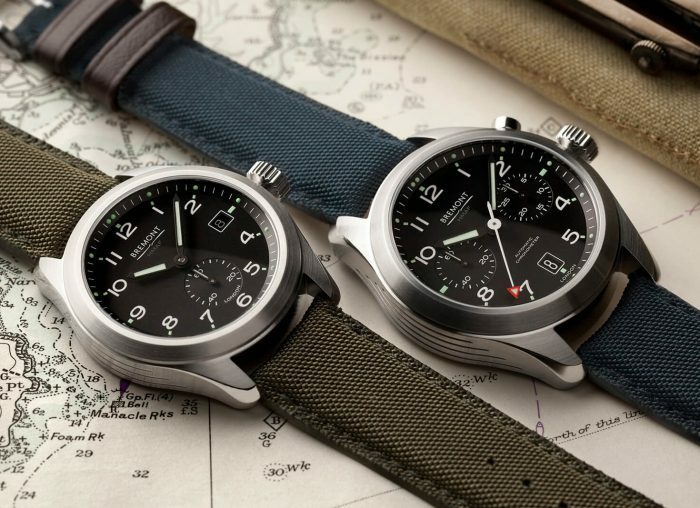 It made sense in a way – Breitling and Tudor would swap the movements they specialised in, creating supposedly better watches – but that didn’t stop it seeming like a strange move. Then came rumours that Breitling was looking for a buyer and people started putting two and two together. The answer though was not what many had believed. Rather than becoming the newest member of Rolex, Breitling was snapped up by CVC Capital Partners, a British private equity firm. They swooped in, bought the majority share and began the process of transforming Breitling – a process that they’ve only really just begun. 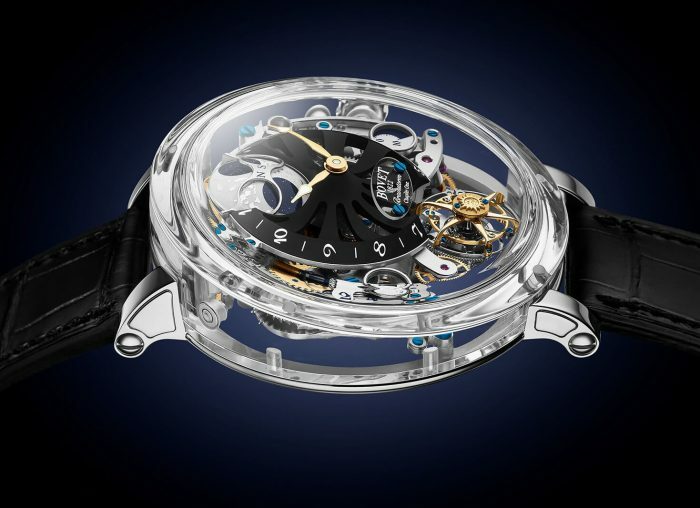 The first step was installing one of the best-known names in watchmaking, Georges Kern, previously the driving force behind IWC. 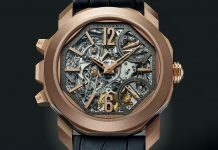 He was the man that started the Schaffhausen-based watchmaker’s annual rota of revamping an entire collection at a time. 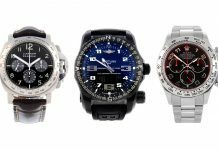 With Breitling he’s gone one step further, creating a new collection from scratch. Needless to say, the Premier collection has to do well. It’s the first new collection Breitling has introduced for far, far too long and the first pieces other than the revamped Navitimer 8 under the brand’s new ownership. Breitling’s betting a good deal of their future on the new range. Let’s not beat around the bush, the Premier collection is lovely. 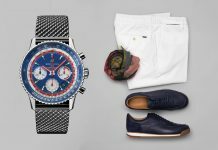 Whether it’s the pair of watches that starred in this issue’s style shoot (namely the Automatic 40 and B01 Chronograph 42) or the wider collection, they’re brilliantly made timepieces. I’m already predicting them to do fantastically well for the brand; they’re incredibly saleable, handsome and pretty much everything they need to be. They’ve even managed to slip Breitling for Bentley subtly in there. If there’s one downside to the Premier it’s that it’s all a bit safe. 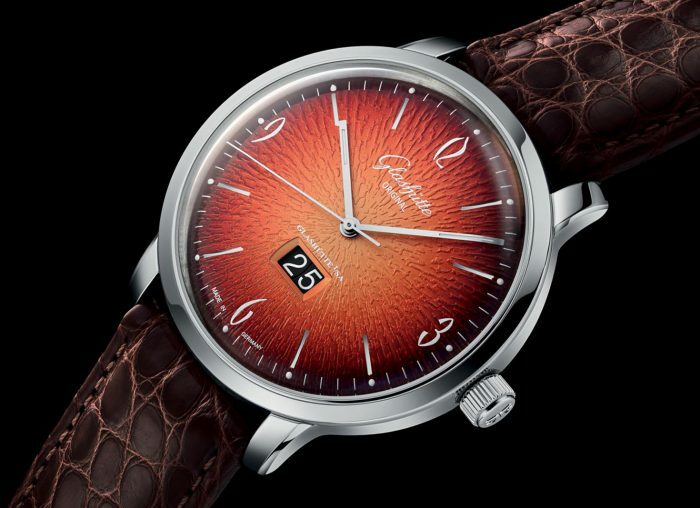 I think of the Premier watches as the horological equivalent of a plain grey suit. When you’re not sure what to wear to a meeting, it’s the default. It’s fine, it’s acceptable and plenty of guys will opt for the same… but it’s not as memorable as say, that Hurricane, and will never be as iconic as the Navitimer. But then Breitling don’t need another icon, and they definitely don’t need another rescue watch. It’s the first new pillar of Georges Kern’s roadmap for Breitling, one that doesn’t just focus on aviation but covers a little more sea and a lot more land besides. The Premier is the dead centre of that plan, sitting in the middle ground between sports and dress watches, between 30,000 feet up and 3,000m deep. 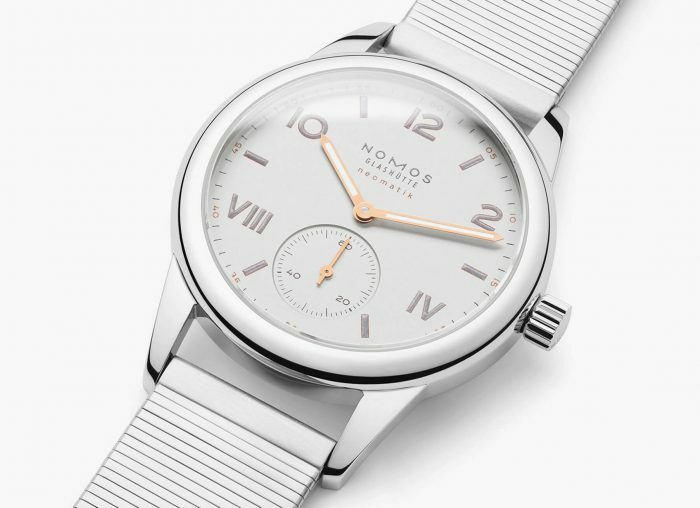 More importantly, it’s the launchpad for what the brand is going to be under the guidance of Georges Kern, a more cohesive, collection-led watchmaker with more to offer the world than variations on a single pilots’ watch and some militaristic plastics. The Premier might not stand out in the same way, but it’s a damn fine foundation. For more information visit Breitling’s website. Share the post "The Premier Future of Breitling"